Melbourne: Left-arm pacer Mitchell Starc is likely to miss Australia's upcoming limited-overs series against India due to injury, according to reports. 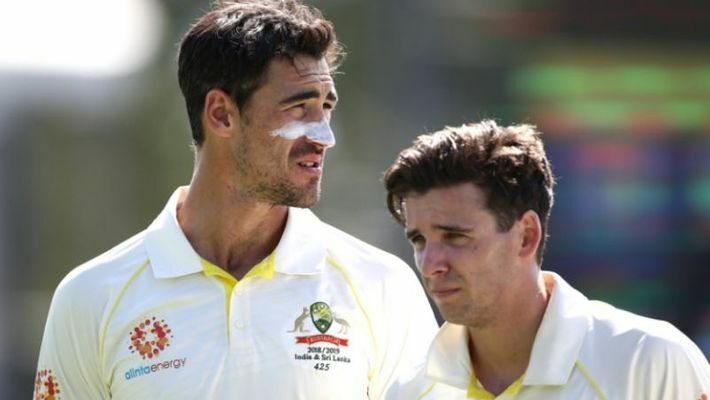 According to News Corp, Starc, who was named Man-of-the match for taking 10 wickets in the second Test against Sri Lanka, suffered from a soft tissue injury in his upper body and is likely to miss the India series. Pacer Josh Hazlewood is also a doubtful starter for ODI tours as he is recovering from a back injury sustained during the Test series against India. Australia will announce the team for the two-match T20I and five-match ODI series against India on Thursday.